Your time is important to us. Volunteers are the heart and soul of the Snohomish Community Food Bank. In 2017, volunteers donated over 20,900 hours to support our mission of ending hunger. 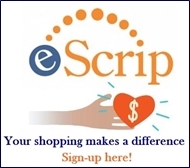 Whether you are interested in sorting donations, stocking shelves, driving our grocery food rescue trucks or helping distribute food directly to our clients, there is something for you. Below is a list of opportunities. If you see something that appeals to your talents, please fill out a volunteer application and stop by the Food Bank to see us in action. Through your efforts we are able to improve the quality of life for children, seniors and families in the Snohomish Community. Thank you for your desire to serve. Do you need to complete your community service hours to graduate? We have a community service program for high school students every Saturday 10:00 am – 2:00 pm. To sign up, e-mail scfbstudents@gmail.com. Please include your name, phone number, and school, along with your preferred upcoming Saturday(s) you wish to participate. Scheduled appointments will be confirmed by reply email unless a phone call is requested. Please allow 48 hours to receive the confirmation of your appointment. Sort, check expiration dates and stock bread and pastries for our client food distribution days. General office work: answer phones, filing and computer data entry. Assist serving groceries to families who visit the Food Bank. Must be able to stand for 2 – 4 hours at a time and be kind yet firm. We’ll provide lunch or dinner! We like to provide a meal for volunteers as a way of saying thank-you for donating their time and energy. As a cook, you will prepare nutritious meals for volunteers working through lunch or dinner. We have a full kitchen and access to the food needed for meals. Must have a Food Handler’s Card. Sort and organize perishable food in our walk-in cooler and/or freezer and stock floor units. In addition, you will help develop distribution menus based on inventory. If you have the drive, we have the truck. We coordinate with local grocery stores to pick up the food they donate. Volunteers drive Food Bank vehicles, collect donated food and off-load it at the Food Bank. Must be at least 21 with a valid Driver’s License and clean driving record. Days: Monday through Saturday, usually morning hours, 8:30 am – 12:00 pm, but some runs go later. Schedule yourself for flexibility! Come in on Monday, Tuesday, Wednesday or Thursday from 9:00 am – noon and float through the Food Bank getting assignments as per our need for the day. Happiness is a clean kitchen. Assist with organizing cupboards, cleaning dishes and counter tops and keeping a tidy refrigerator. Sort and inspect fresh produce to ensure clients receive quality fruits and vegetables. Work with High School students earning their community service hours required for graduation. A crew of student workers and 2 supervisors sort and organize food, stock shelves, perform light cleaning duties and complete other random tasks. We will train you. Do you like to organize? Help sort donations, check expiration dates and keep our backroom in order. Help out at food drives and fundraisers. Days and times vary. We meticulously scour donations for these labels and last year we were able to clip and share 22,404 with the Snohomish School District. That is equivalent to $2,200! In 2014, Food Lifeline recognized us with their Excellence In Collaboration Award for our label collection program. Volunteers cut, count, bag and submit labels. This program provides weekend groceries to homeless Middle and High School students. These young adults are facing a world of uncertainty and Food-2-Go takes away the stress of buying their own food. Volunteers shop for food, bag the groceries, deliver to local schools, manage paperwork and communicate with school personnel. Focused on serving housebound individuals, this program allows people to choose items from the same menu as our Tuesday and Friday food distribution fare. We make a personal phone call to our Home Delivery clients the day prior to their delivery and a team of volunteers box and deliver to more than a dozen local families. This essential program provides formula, baby food, infant cereal and diapers to families with babies. We distribute an average of 100 infant bags each month ensuring our infants and toddlers have a healthy first step. Volunteers sort and check expiration dates on baby food and formula and assemble packs of diapers. Supported by funds from local Kiwanis Clubs. All area kids age 18 and younger are invited to join our Kids Café summer breakfast and lunch program. There is no pre-registration or sign-up. Kids just need to show up and enjoy a great breakfast and/or lunch. Over 23,000 free breakfasts and lunches were served during the summer of 2017. 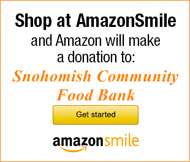 This is a collaborative effort with the Snohomish School District, Boys and Girls Club, the Snohomish Community Food Bank and over 190 community volunteers. Supported by funds from Nordstrom, Snohomish Boys & Girls Club, Snohomish Community Church, Kiwanis Club of Snohomish, Bickford Motors and Chartwell. Where people and pets unite, our Pet Food program provides a minimum of pet food to alleviate the weekly grocery bill for our families. We do not budget nor purchase for this program and it is supported solely through donations. Local organizations concerned about pet care consistently donate pet food for our clients. Volunteers collect, organize, stock and re-portion bulk kibble into pet friendly servings. Sponsored in part by Homeward Pet. Our Pre-Pack Program provides groceries for the homeless and other clients who do not have access to regular cooking facilities. Volunteers pack bags with easy to open and prepare food and when available, self-heating meals. We also include fresh fruit, vegetables, bread and supplies at the time of service. High School students volunteer to fulfill their community service requirements needed for graduation. A crew of student workers and 2 supervisors sort and organize food, stock shelves, perform light cleaning duties and complete other random tasks. In partnership with the Community Kitchen, Senior Center and under the direction of the Zion Lutheran Church, we offer a drop off service to those who have no other way home from the Food Bank. For those who can get here on Tuesdays between 3:00-5:30, the shuttle will furnish clients with a ride home, groceries in hand, making it possible to provide more food for their families. Here’s to our volunteers, the dedicated people who believe in all work and no pay. Without complaint, you give long uncompensated hours and we thank you. Words cannot convey our gratitude for your tremendous contribution. Because of your many hours of hard work, we are able serve the children, families and seniors who need our help. You have touched the lives of so many in our community. Your enthusiasm and purpose are the essence of volunteerism. No one is more cherished in this world than someone who lightens the burden of another.